Our Sport student Bethanie Jacobs has been chosen to represent the Great Britain Ball Hockey team at the World Championships in the Czech Republic. The 18-year-old took up hockey in 2008 after developing an interest in the sport by supporting Sheffield Steelers and Toronto Maple Leafs in the National Hockey League. 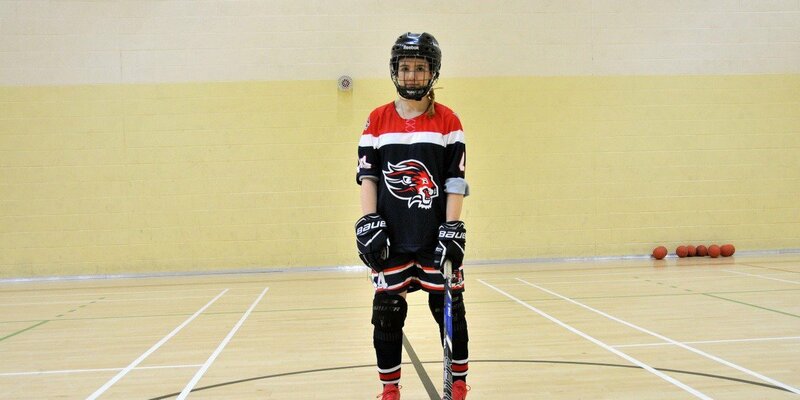 Bethanie, who competes in both ball hockey and ice hockey, realised her ability after being regularly selected to play for Sheffield Steelers Ball Hockey Club. The defender secured a place on the Team GB flight after impressing in the selection trials and throughout the 2017/18 season. Bethanie will compete against some of the best ball hockey players on the international circuit from teams around the world including Canada, USA and Norway. Bethanie is part of the Barnsley Sports Academy within College and has access to an Elite Sports Performance Bursary to fund aspects of her competition such as equipment and travel. Bethanie, a Sport and Exercise Sciences student, said: “I’m looking forward to competing in a prestigious international event and gaining experience from it. My goal for the whole tournament is to just to make as many memories as possible and enjoy the experience. I’m proud to have been selected as assistant captain for the tournament.